GiftBasketsOverseas.com makes it onto the Inc. 500|5000 list for the 6th year in the row! ARLINGTON, Mass., Aug. 21, 2018 /PRNewswire-iReach/ — GiftBasketsOverseas.com, the experts in international gift delivery, is once again celebrating its induction onto the Inc. 500|5000 list of the fastest-growing private companies in America. This is the company’s 6th year on the list, ranking 4802 for 2018. To make it on the list more than once is an accomplishment, but to make it 6 years in a row is incredibly rare – only 6% of companies have ever received the honor. However, it is to be expected from a company that prides itself not only in growth, but customer support. GiftBasketsOverseas.com shares its place on the Inc.500|5000 list with companies like Microsoft and Vizio, who have also prided themselves on listening to customer feedback and demand to make changes, something owner Dmitriy Peregudov takes to heart. On August 24th the bright blue and yellow colors of the Ukrainian flag will decorate the streets of all cities big and small across Ukraine. Also known as ‘День незалежності України’ (Den’ Nezalezhnosty Ukrainy’), this holiday is officially called Ukraine’s Independence Day. A very important national holiday, it commemorates Ukrainian Independence from the Soviet Union in 1991. 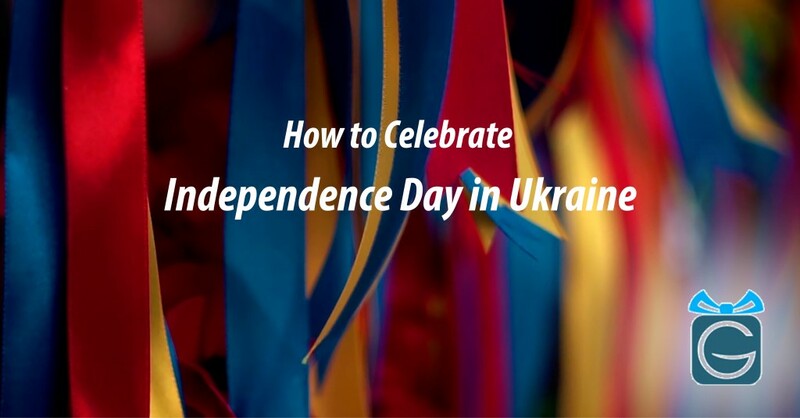 To this day, Independence Day in Ukraine is celebrated with great pomp. Ukrainians have always had their own culture and language, but for centuries were dominated by Russia, Poland, Turkey and other countries. Because of this, the holiday carries extra significance, allowing Ukrainians to express their love for a country ruled by and for them. The day has come to remember the heroes of Ukraine’s past and honor those who fought for their nation’s freedom. When you’re playing the role of office Santa, and working on lists of the best corporate gift ideas, you need to take into consideration a lot of factors: recipients’ roles, relationship to the sending company, their country, local traditions, personal preferences, and more. 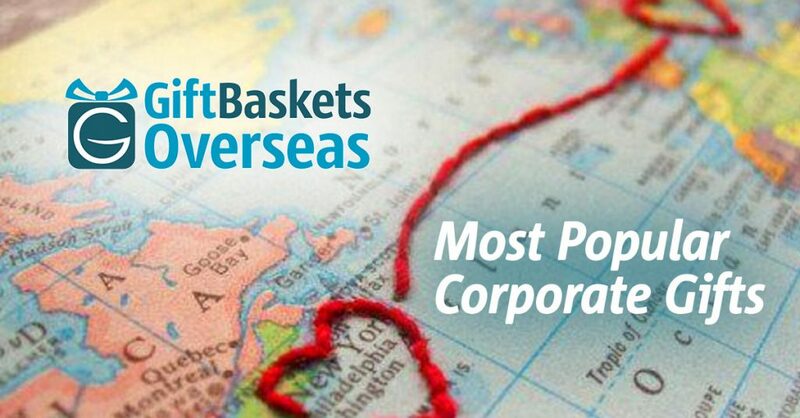 We know the process can be overwhelming, and wanted to make the research process easier for our clients, so Gift Baskets Overseas compiled this comprehensive list of the most popular business gifts by country. 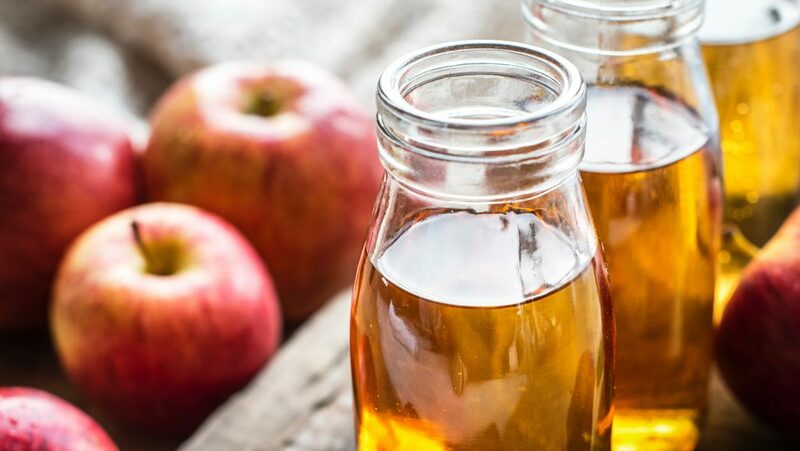 What to Do With Leftover Apple & Honey Gifts from Rosh Hashanah? Are you one of the lucky ones who’s being lavished with tons of Rosh Hashanah gifts every year? So many that you can’t even wrap your head around what to do with all these delicious goodies? 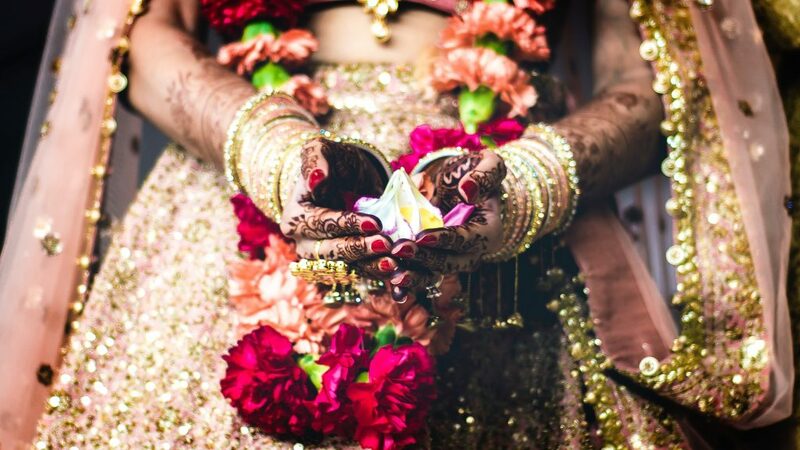 Or maybe this time around you just want to make your traditional celebration a little bit different? ARLINGTON, Mass., July 23, 2018 /PRNewswire-iReach/ — GiftBasketsOverseas.com, the experts in international gift delivery, is proud to announce its newest charitable initiative. As part of its efforts to ‘pay it forward’ and to help preserve some of the most important resources on the globe, the company has worked to partner with charities with personal meanings, and long reaching impact. This summer they are proud to announce its new partnership with Rainforest Trust – a U.S.-based conservation nonprofit organization founded in 1988 that protects vital habitat around the world for species, communities, and the planet. The Rainforest Trust is a U.S.-based conservation nonprofit organization that is dedicated to protecting vital habitats around the world. Preserving them not only for threated species, but for local communities and the planet. 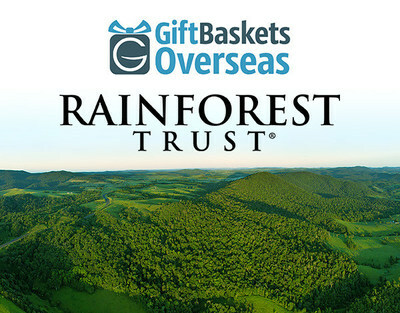 Now, GiftbasketsOverseas.com will donate 10% of the retail sale price of each gift purchased from the Gifts to Save our Planet catalog to Rainforest Trust for such programs as the SAVES Challenge, Saving the Lost Forest of Madagascar, Protecting Endangered Parrots in Mexico and many others. The Rainforest Trust has worked to safeguard over 18 million acres of wildlife habitat around the world since 1988. Their mission is to help preserve a healthy and balanced ecosystem, in some of the world’s most easily overlooked areas, because they are furthest away from people. The CEO of GiftBasketsOverseas.com hopes that adding the company to the cause will give a little more visibility to an issue that doesn’t seem obvious when you’re surrounded by more buildings than plants. All eligible gifts for the Rainforest Trust donations are clearly marked with a banner, reminding you that by buying a gift you are also donating to charity. You don’t have to do anything but spoil your loved one with a gift from the selection, which you can find in full here: Gifts to Save our Planet. With endless weddings, birthdays, holidays, anniversaries, and other reasons you were already giving, now is the best time to help your gift mean just a little bit more. As always, GiftBasketsOverseas.com’s excellent 24/7 customer service team is available by phone, chat, e-mail, social media, and more to answer any questions you have. Rainforest Trust is a leading international conservation organization that has been steadfast in its mission for 30 years to save endangered species through the purchase and protection of imperiled tropical habitats in partnership with local partners and communities. Since its founding in 1988, Rainforest Trust has helped protect over 18 million acres of rainforest and other tropical habitats in more than 125 project sites around the world. Presently, Rainforest Trust is working to establish a network of over 190 protected areas toward its goal of strategically protecting 50 million acres by 2020. Rainforest Trust has a 4-star rating from Charity Navigator, and 100 percent of project gifts directly fund vital conservation action. For more information, visit www.RainforestTrust.org. 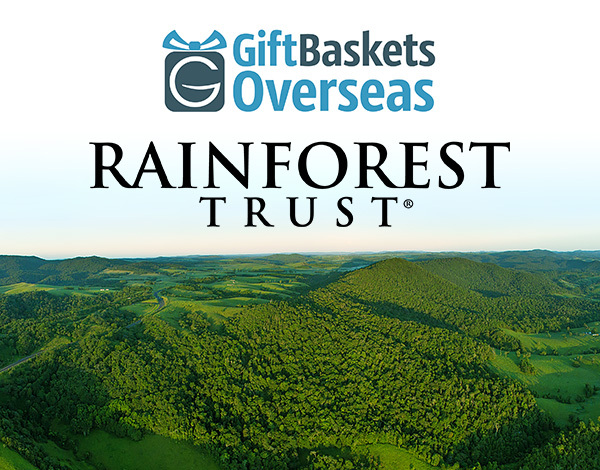 This month, Gift Baskets Overseas is proud to announce its new partnership with Rainforest Trust – a U.S.-based conservation nonprofit organization founded in 1988 that protects vital habitat around the world for species, communities, and the planet. Soon, millions of Muslims across the globe will come together to begin celebrating Eid al-Adha on August, 20 2018. 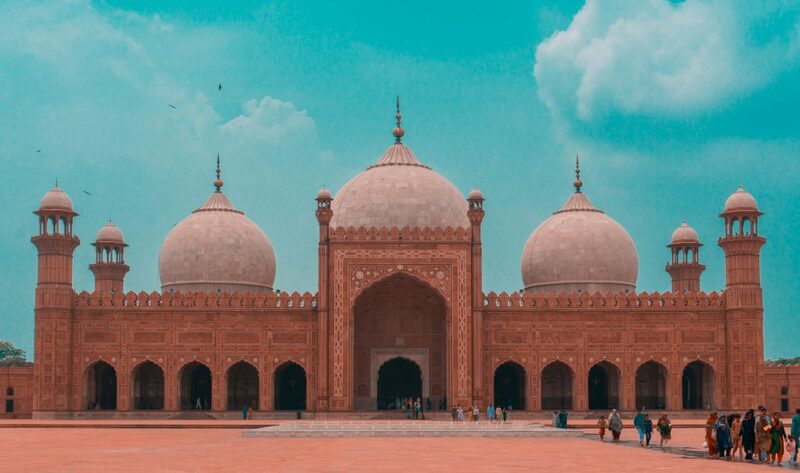 If you are familiar with Islam’s culture you probably know that it is one of the two major festivals in Islam, the second largest religion in the world. Known as the Feast of Sacrifice or “big Eid,” this holy celebration marks the end of the Hajj. The Hajj is the annual pilgrimage to the holy city of Mecca and commemorates Ibrahim’s willingness to follow God’s will to sacrifice his son. Despite this trouble beginning to the tale, Eid al-Adha is a joyous occasion. It is time to celebrate and unite with family and friends. Around 2 billion Muslims share similar traditions observing the festival, however, depending on the region Eid festivities may vary and have its own unique cultural touch. So, which countries celebrate Eid al-Adha around the world? In fast-paced corporate environments the best companies treat their employees as the most valuable asset. Corporate awards, workplace celebrations, and employee birthday recognition all are important parts of internal company loyalty programs. On the one hand, a birthday is very personal, intimate fete. Not everyone would enjoy the public announcement of such a special date in the office. 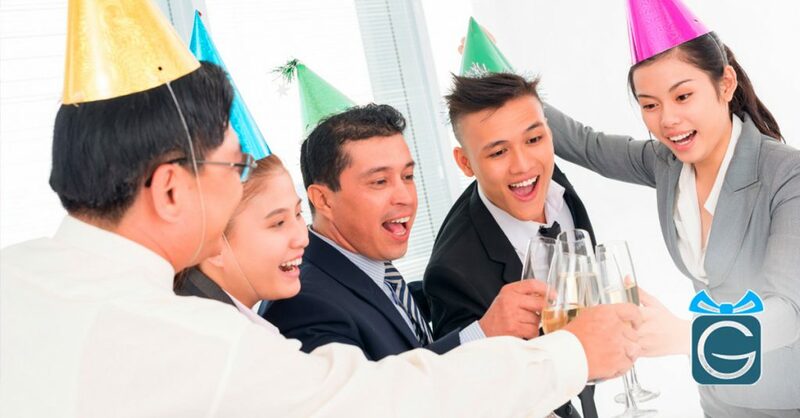 On the other hand, the employer can a build really warm, non-formal relation with their team using such moments in an appropriate way, so the benefits of celebrating employee birthdays at the workplace are numerous. So keep reading, as we focus on employee birthday recognition ideas that will help increase loyalty and improve turnaround. You’ve got friends or associates on the other side of the world, and now you’re not sure how to send gifts to India? No worries, that’s why we’re here. The idea of gift giving in India goes back to ancient times when people gifted fabric, jewelry, even cattle and grain to the ones they loved and respected. Being a traditional culture, many people in India still remain faithful to old customs. Despite global modernization, sending gifts to India is still a good way to demonstrate mutual trust and bonding. It’s the best way to build friendships, professional relationships, romantic relationships, and make amends. For those who are spiritual it is thought to even clean your karma to be reincarnated in the next life.